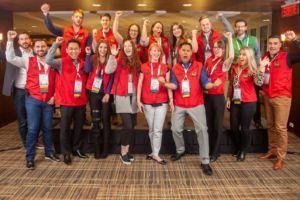 Home Associations CPMA Montreal Wrap-Up! The 94th Annual CPMA Convention + Expo in Montreal was a week to remember! This year, Montreal treated us with insightful events and a focus on innovation. Gold sponsor Thomas Fresh unveiled their first-ever Montreal exhibitor booth on the trade show floor with an eye-catching look. The CPMA convention began on Tuesday with the Chair’s Welcome Reception at the beautiful Le Parquet, where we met with industry friends, while sampling a series of Maritime inspired food and drinks. 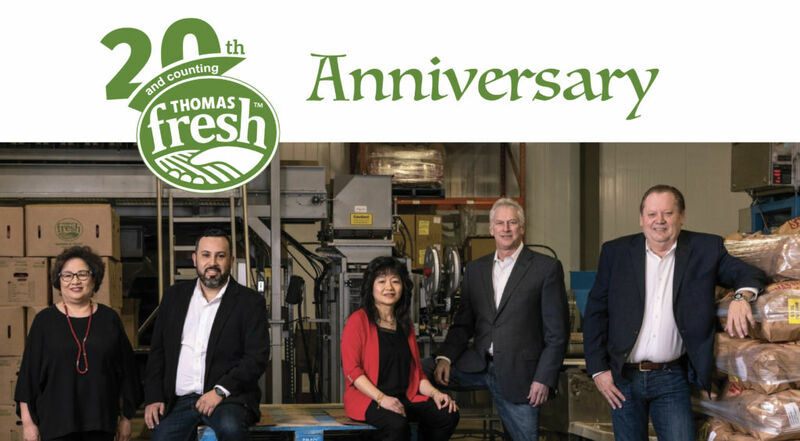 On Wednesday morning, Thomas Fresh, a CPMA Centre Plate Partner, sponsored the annual Passion for Produce Speed Mentoring session. The event hosts a set up for the next generation of produce leaders to discuss career aspirations, goals and trends with a panel of industry veteran mentors. 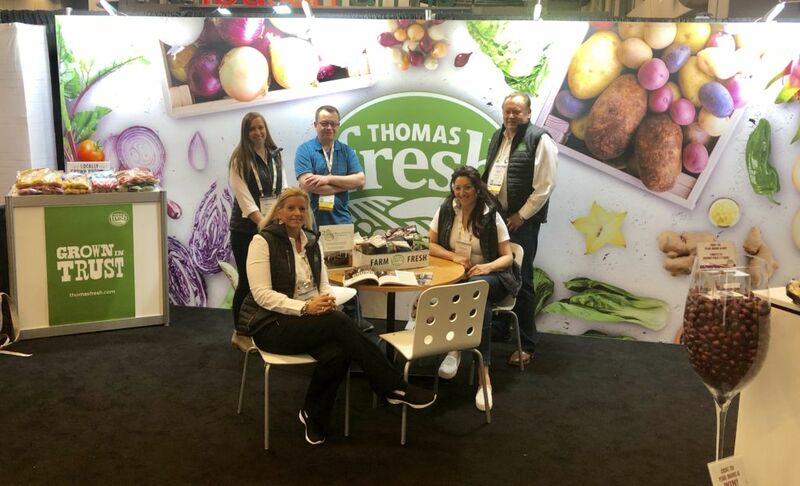 At our Thomas Fresh booth, we showcased our most popular trending products. The top of the list, which was also found in our product showcase, was our new 8 ct. Foil Wrapped Russet Potato Pouches. These premium golden spuds offer value added potatoes for everyday meals, weekend barbecues with a larger pack size and convenient package. Also found in our product line up was our limited edition Think Pink Onion, which raises funds for Breast Cancer Research, our Organic offerings and a few of our popular Asian/ Ethnic category options including Dragon Fruit, Asian Pear and Peeled Garlic. Passion for Produce program. It should be noted that the selection process is completely blind for P4P. No individual names, company names and/or sponsor names are provided in the selection process. Applicants are chosen solely on the merit of their application. Following a silent disco and wall of donuts at the after-party on Wednesday night; the energy continued at Thomas Fresh on Thursday morning. Our booth was home to many wonderful conversations along with a tricky number focused challenge involving our shiny pearl onions. but in the end the winner was Nicole from the Calgary Produce Marketing Association who’s guess was 11 away from the total amount of 761 red pearl onions. Nicole was gifted a free Amazon Echo for her impressive counting abilities – congrats! 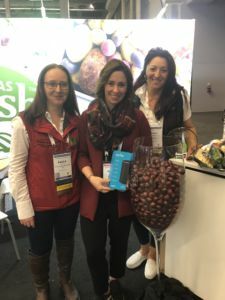 We would like to thank the Canadian Produce Marketing Association for a fabulous show and we can’t wait to do it all again in Toronto next year! #YYC foodie inspired by healthy living, and marketer for Thomas Fresh. 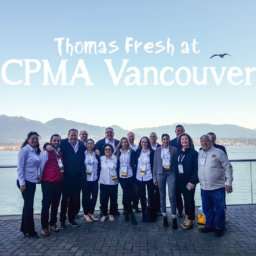 Thomas Fresh Takes on the Vancouver CPMA!